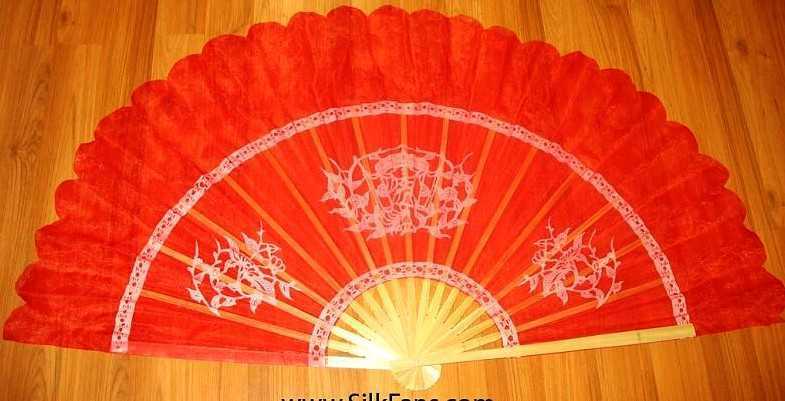 Extra large fan for dancing with 28" high from bottom to the top silk, the bamboo part is 22" high. It is 52" across when it opens. This fan is well made, sturdy and great for dancing.